I have come across many users either wanting to know how to manually update the GAL, various issues with exchange cache mode, and outlook running slow. One of the fixes I have always used is to cleanup the profile on the client workstation. So I figured I would post a small little guide for Windows XP and Windows 7 on how to cleanup outlook in exchange cache mode. The following message indicates success: Windows IP Configuration Successfully flushed the DNS Resolver Cache. If flushing DNS cache does not fix corrupt or bad DNS issue, you can stop/disable the DNS cache client service to turn off DNS caching. Again, clearing the Microsoft Lync Cache is a good fix for issues affecting a single Windows client. If a problem is persisting for several folks or throughout an organization, the fix is probably in server configs. 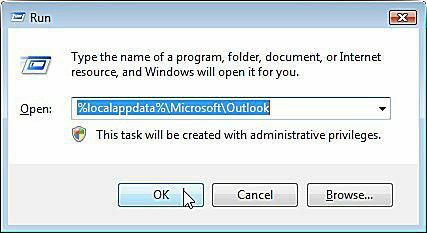 When you empty the folder, Outlook will automatically rebuild this cache from the information stored within the mailbox itself. Restoring the folder to a computer with a new or restored mailbox will not cause Outlook to import or even re-use the recovered files; The files are useless to Outlook.